A paragliding coach died, and a passenger was injured, after snagging power lines and falling around 20 meters to the ground in Wanrong Township, Hualien County this morning, February 10. Shortly after 8:00am, 57-year-old paragliding operator Wang Tian-ming (王田明) launched a tandem flight with a 25-year-old male Chinese tourist named Tao (陶) in what are described in media reports as windy and foggy conditions. 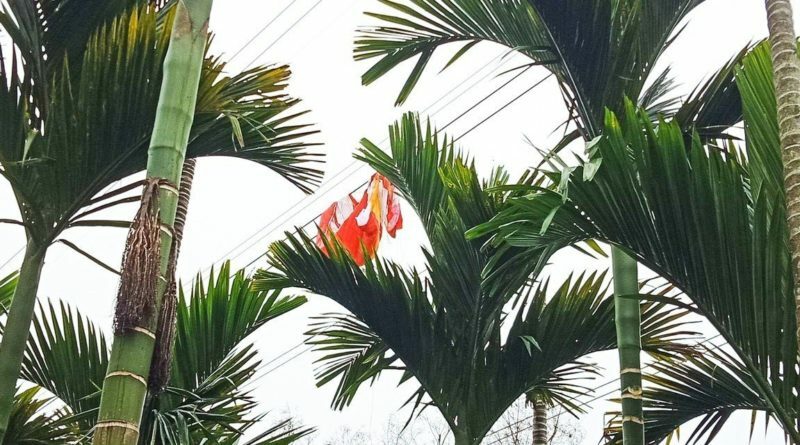 Shortly before 8:30am, the paraglider canopy snagged high-voltage power lines around 30 meters above a betel nut plantation, and Wang and Tao were left suspended at a height of around 20 meters. According to statements by Tao, Wang cut the suspension lines, sending the pair plummeting to the ground.